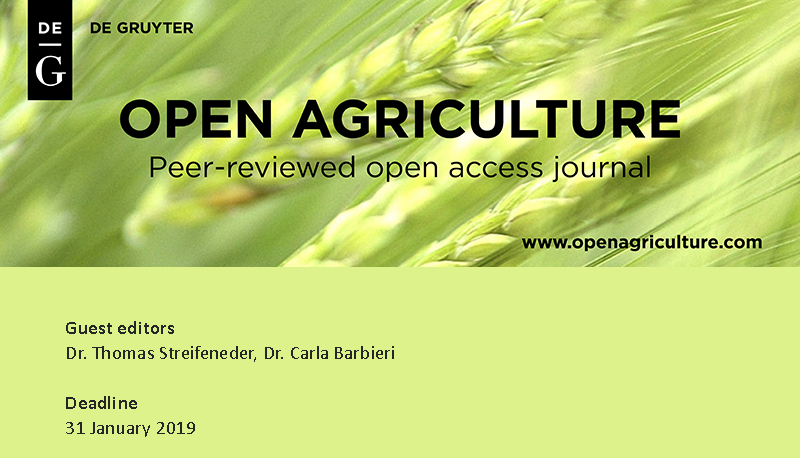 Articles for the Special Issues of Open Agriculture (Agritourism – wider focus) should be scientific, peer-reviewed and 4-6 pages long. The fees for the publication is on charge of Eurac Research. 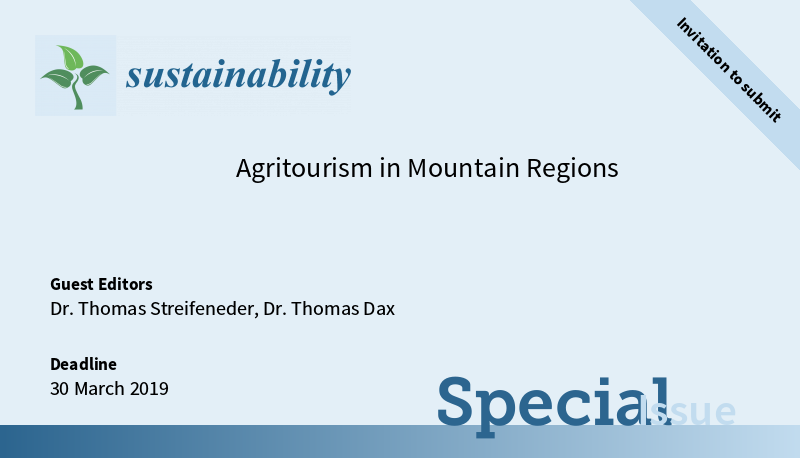 Articles for the Special Issues of MDPI (Agritourism – focus on mountains) should be scientific, peer-reviewed and 4-6 pages long. The fees for the publication is on charge of each contributor. MDPI agreed on 750CHF per contribution (instead of 1700 CHF). Articles for the proceedings with Springer should be 4-6 pages long, open for every participant who is interested in having his/her contribution on the presentation held at WAC2018 published in the proceeding’s book. The publication is free of charge.